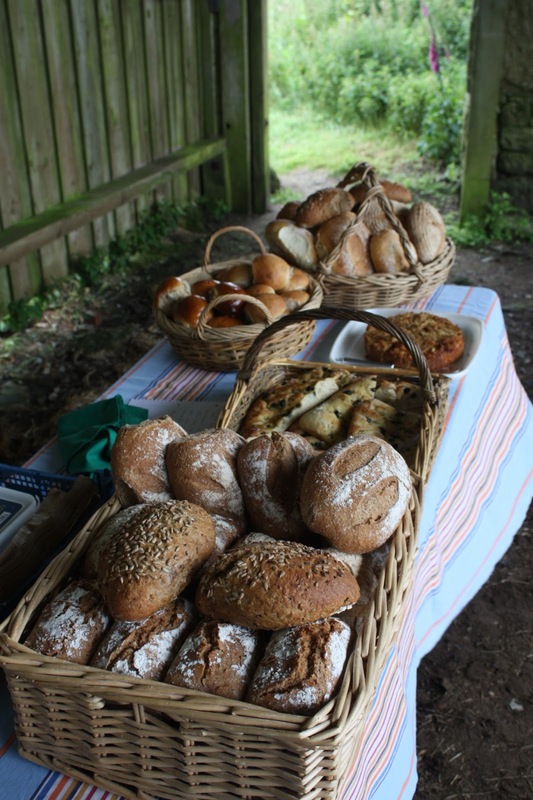 Next Saturday, as part of the Lafrowda Festival fortnight, Bosavern Community Farm will be hosting a Traditional Farming Day, 1 till 5pm. 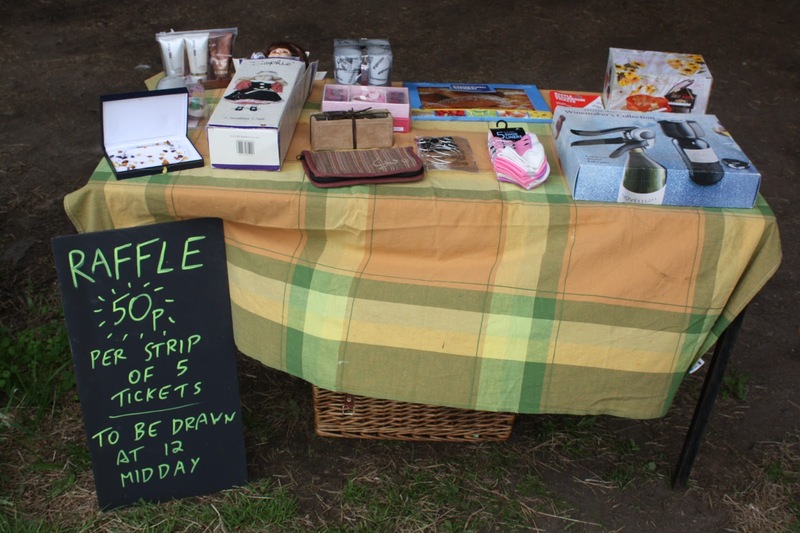 As always, everybody is welcome, so please come along and join in the fun. 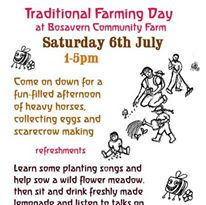 Come on down to Bosavern Community Farm for a fun-filled afternoon of heavy horses, collecting eggs and scarecrow-making. 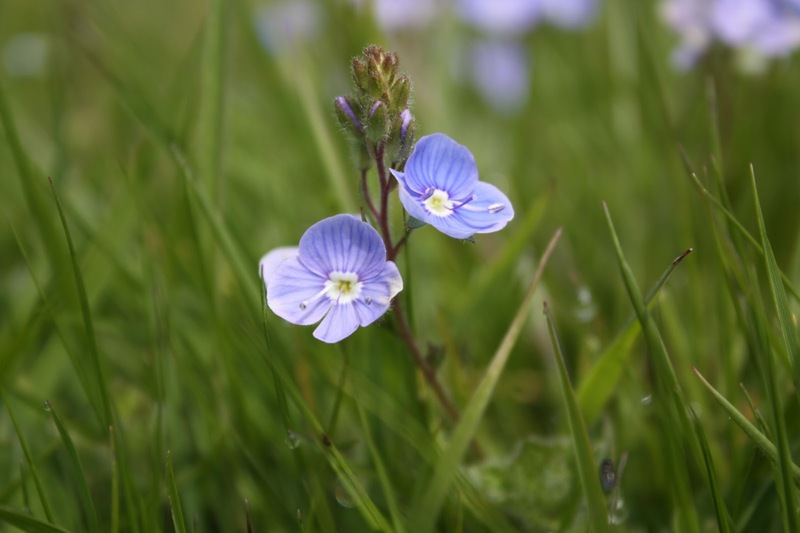 Learn some planting songs and help to sow a wild flower meadow, then sit and drink freshly made lemonade whilst listening to informative talks on composting, crop rotation and more! 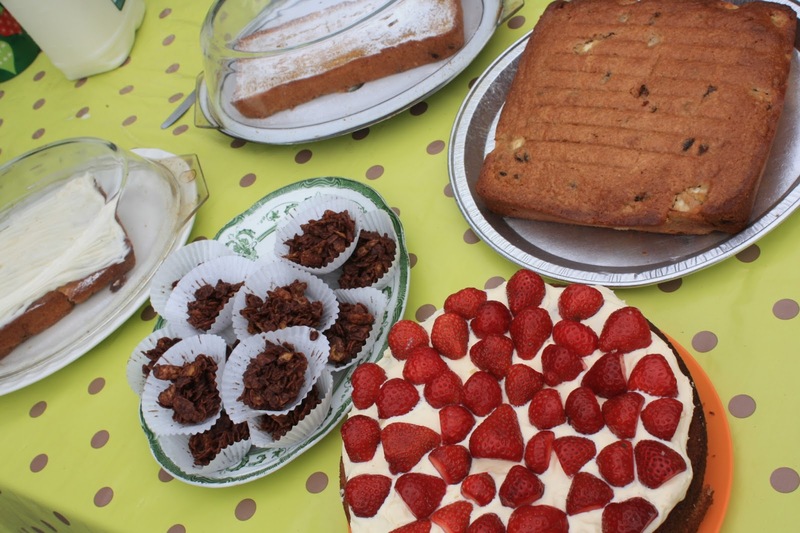 Finish up with a game of rounders for all the family from 4pm. (for directions see www.bosaverncommunityfarm.org) Free and open to all. Nick's Bread stall - specialist in slow-rise sourdough. Cakes laid out on the cafe stall. 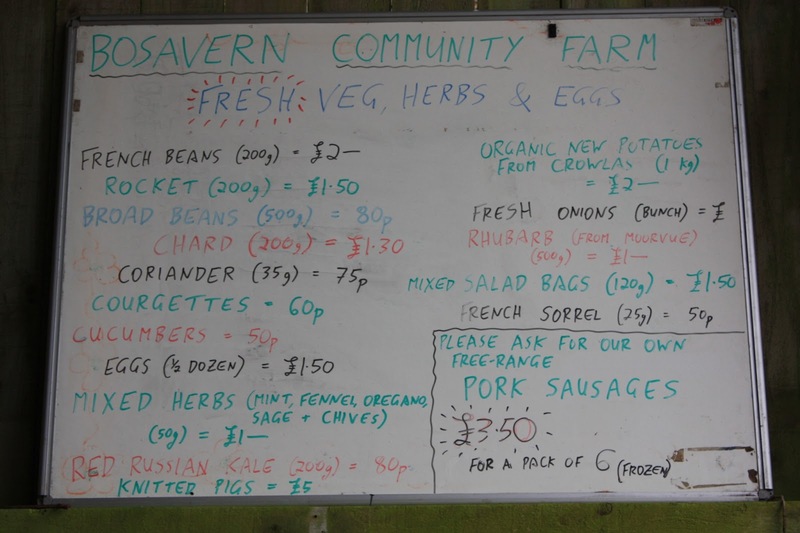 Price list for the farm stall. 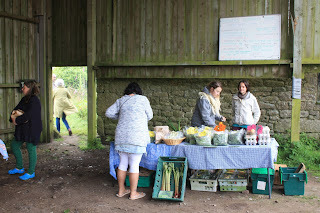 The farm stall selling egss, veg, herbs and rhubarb (a fruit?). 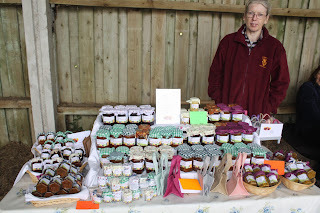 Delicious home-made jams, chutneys and preserves. 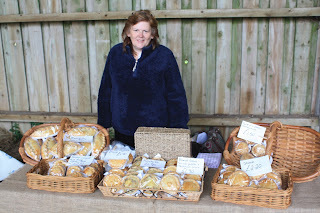 Aunty Em's home-made pie and pasty stall. Produce of the new season. 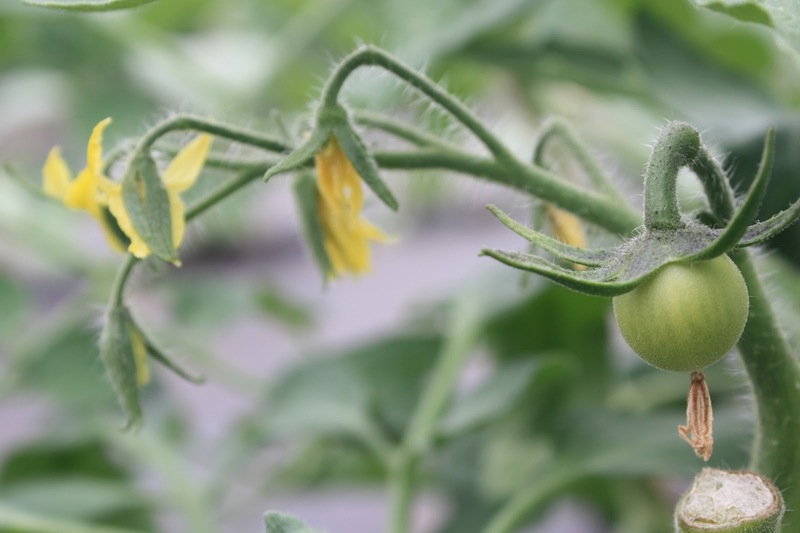 As you are probably aware, this years growing season was delayed by approximately 6 weeks due to exceptionally cold weather in March and April. 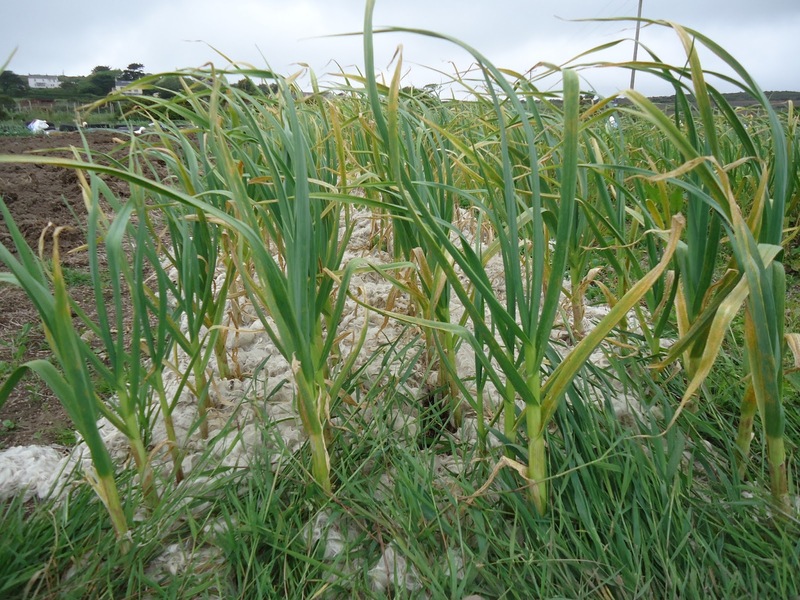 The hungry gap has been more difficult than most years, and we even had to resort to buying organic potatoes and carrots from Devon to carry us through this difficult period. 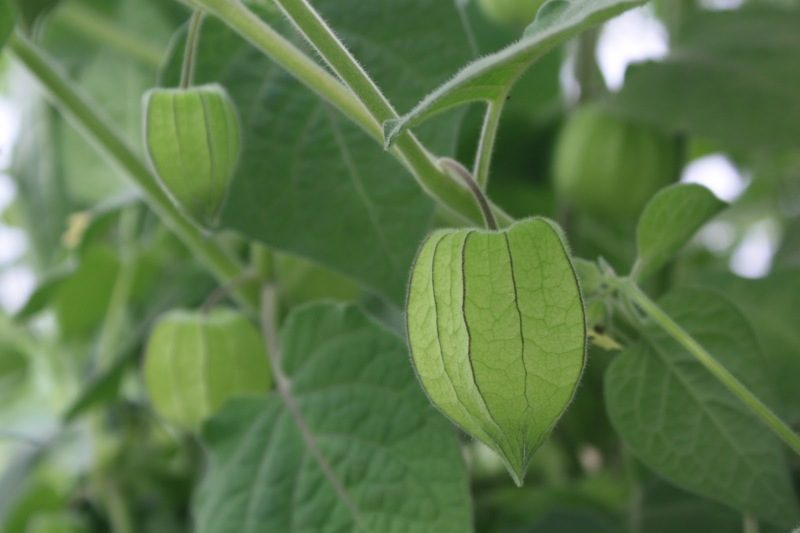 Thankfully this is now over! 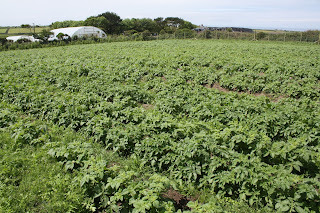 Local organic potatoes and courgettes from Crowlas have been available for the past 3 weeks, and our own are now also ready. This last week we harvested our own fresh red onions, kohl rabi, salads, chard, rocket, spinach, French beans, broad beans, kale, courgettes, cucumbers, oregano, sage, chives, coriander, mint, fennel and French sorrel - enough to (almost!) fill 23 veg boxes, plus our gate stall and yesterday's farmers market stall. 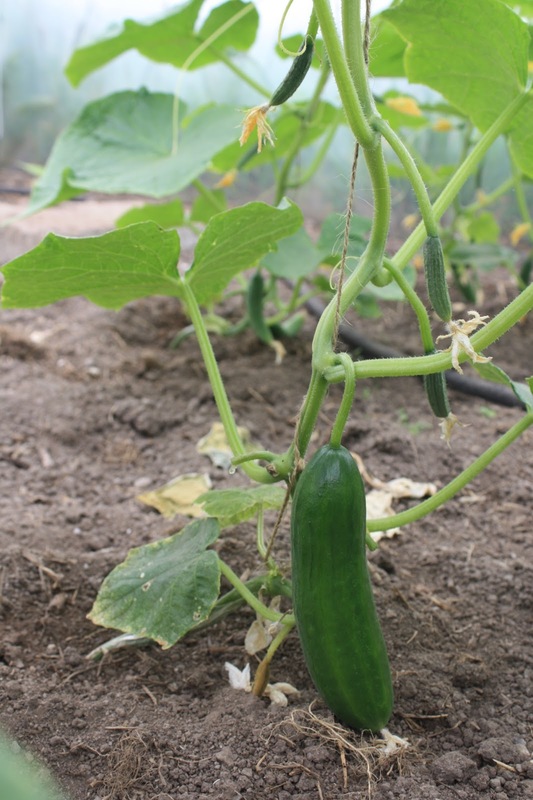 This coming week we are going to harvest new potatoes, shallots, and carrots to add to that list. 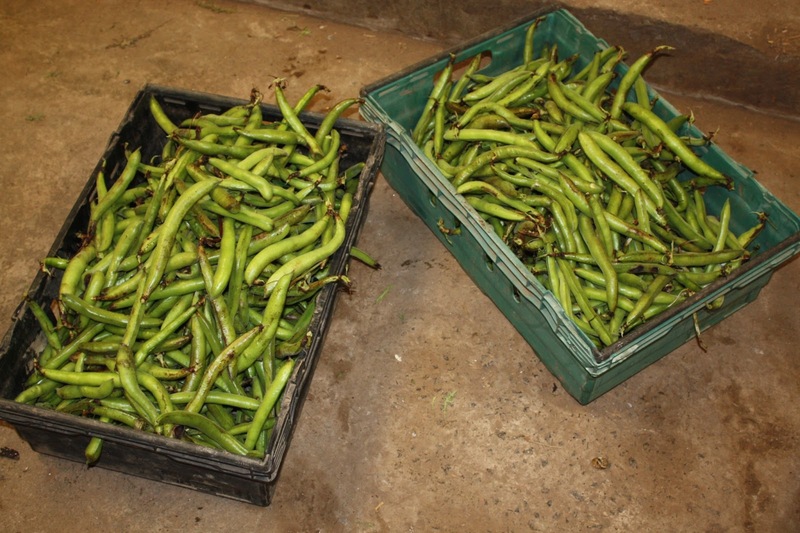 It is a wonderful feeling when all this produce starts to come in, and we can see the fruits of several months of hard back-breaking effort by staff and volunteers working together in the fields and polytunnels. 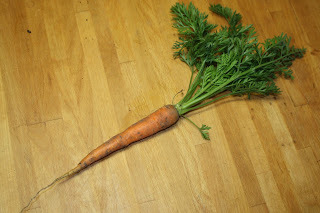 A perfect carrot, grown here on the community farm. 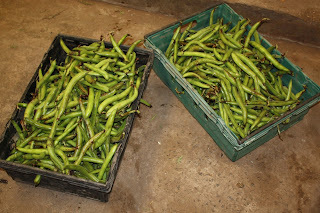 Half of this week's broad bean harvest. 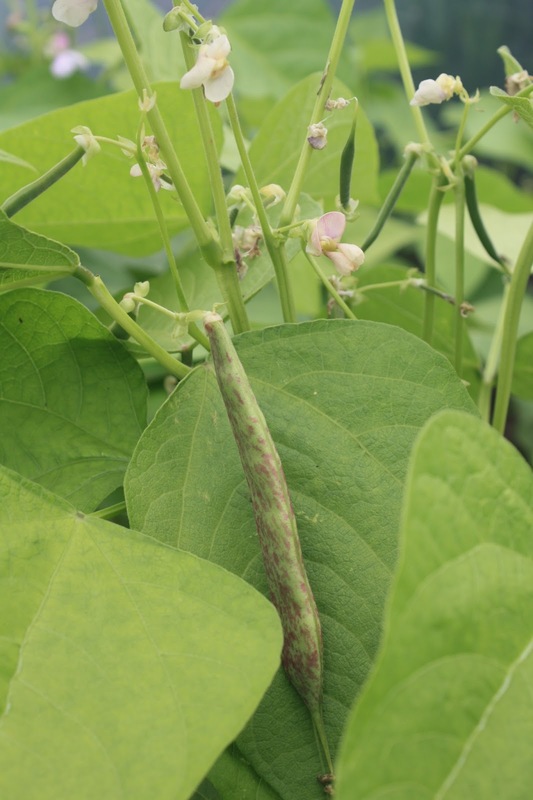 French beans in the polytunnel (lingua di fuoco - "tongue of fire"). Physallis in the polytunnel, preparing to ripen. The first tomatoes setting fruit. Farmers Market this Saturday, 29th June. 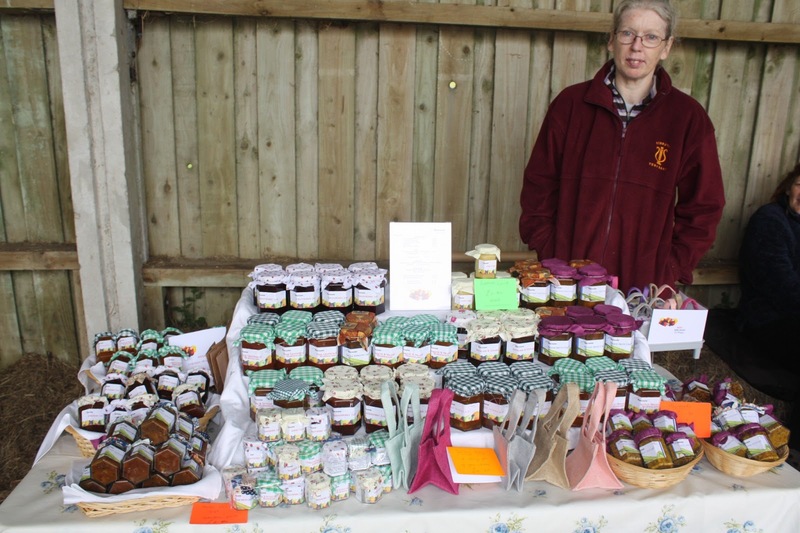 This Saturday, being the fifth Saturday in the month, we will be hosting a farmers and craft market here in the farmyard, from 09:30 till 12:30. 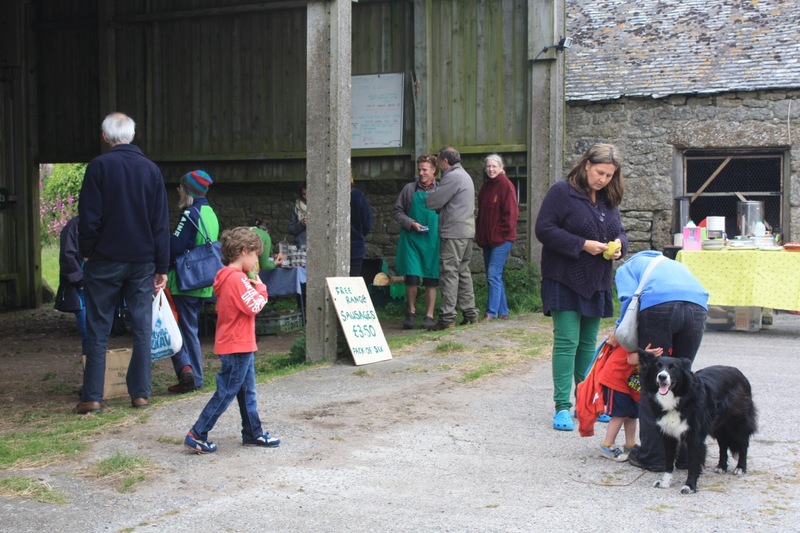 Entry is free, and there will be a range of stalls, including our very own veg and eggs, plus a cafe - and sunshine (fingers crossed). Karl left the farm yesterday after entertaining us for a week during long parsnip weeding sessions. 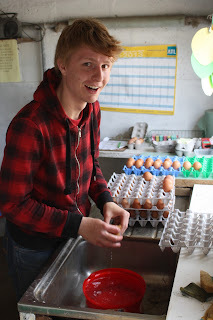 Many thanks to Karl for his hard work on the farm, and we wish him a good trip around the UK. Karl washing eggs in the packing room. 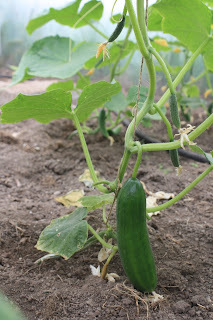 I thought I'd post a few recent photos to remind us what a special place Bosavern Community Farm is. 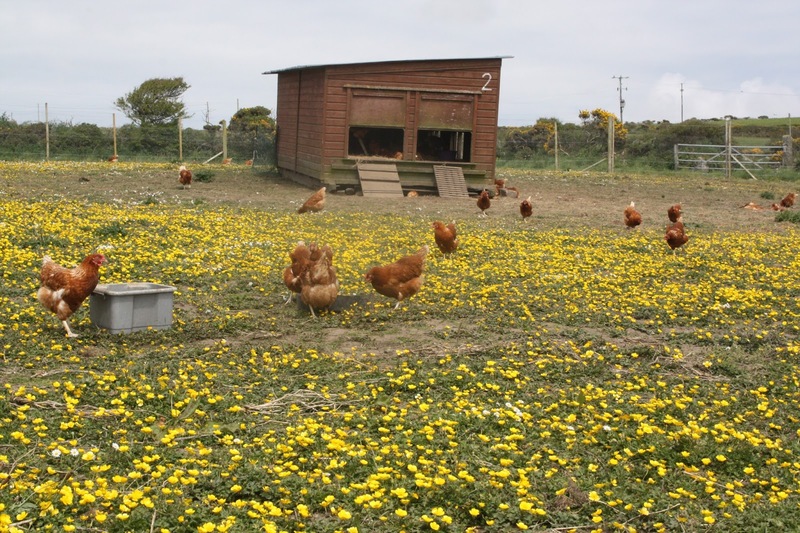 Some of our free-range chickens enjoying the open air in their field. Germander speedwells in one of our meadows. 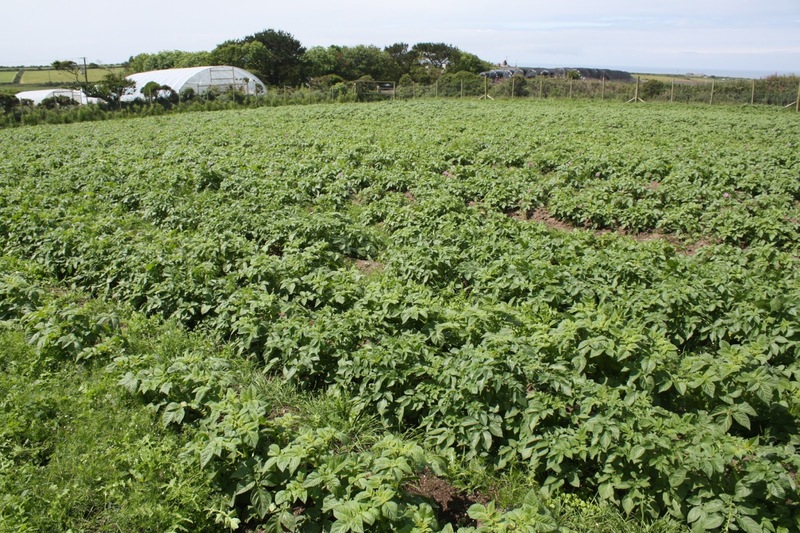 Our potato field looking very healthy. 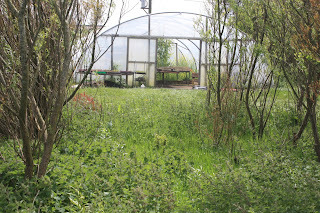 The Mothership polytunnel seen through a copse of windbreak willow. 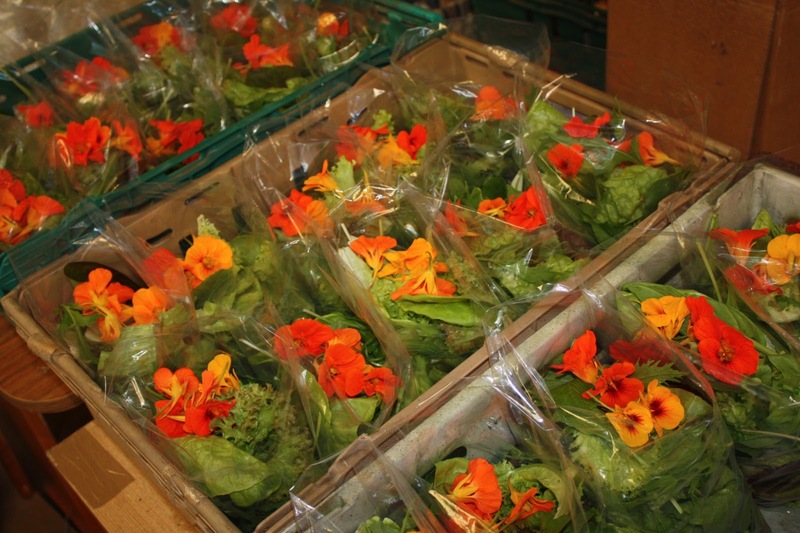 Packing salad bags with nasturtium flowers. 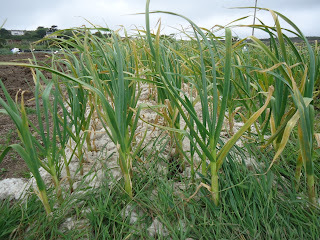 This years garlic crop mulched with sheep's wool. 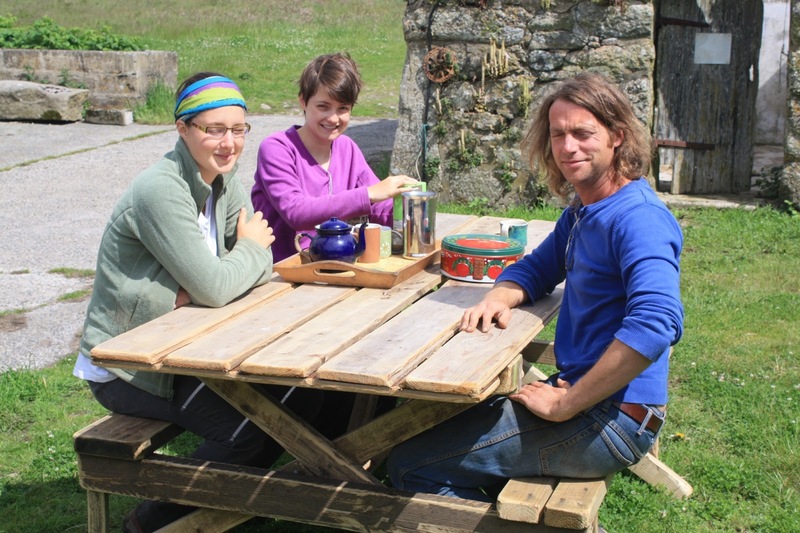 Taking a well-earned tea-break in the farmyard. 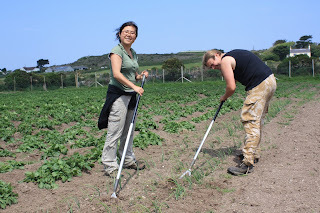 Many thanks to Alexa and Sofia, sisters from Canada, who left today having wwoofed on the farm for 3 weeks. We wish them all the best on their next 3 wwoof host farms and for the remainder of their stay in the UK. 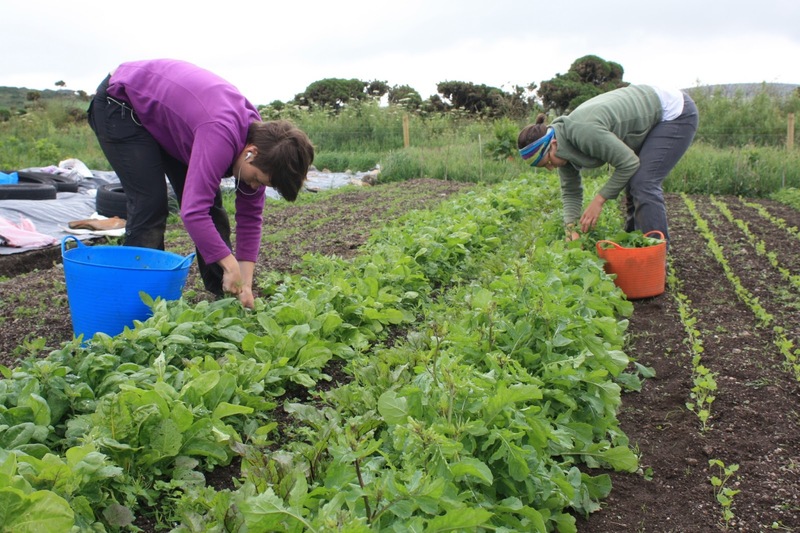 Alexa picking spinach on the left, Sofia picking rocket on the right. Our vision is to produce, support and promote local food in an economically, environmentally and socially sustainable way. 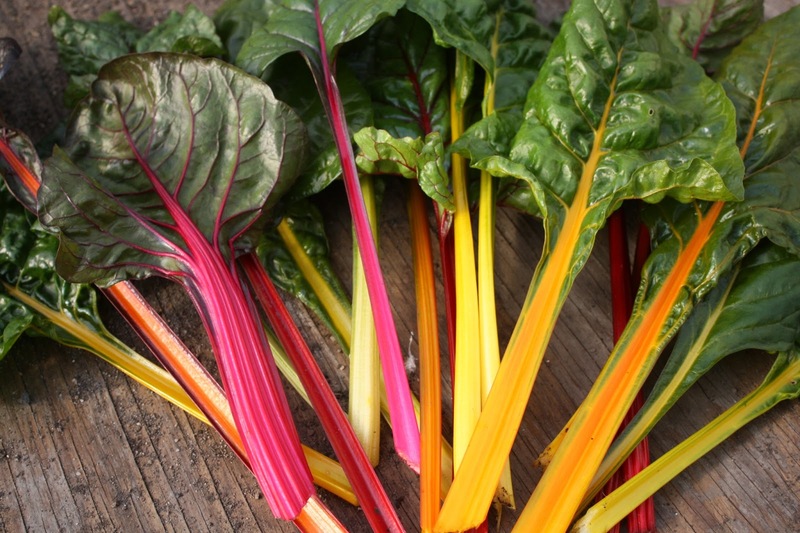 Light at the end of the hungry gap. 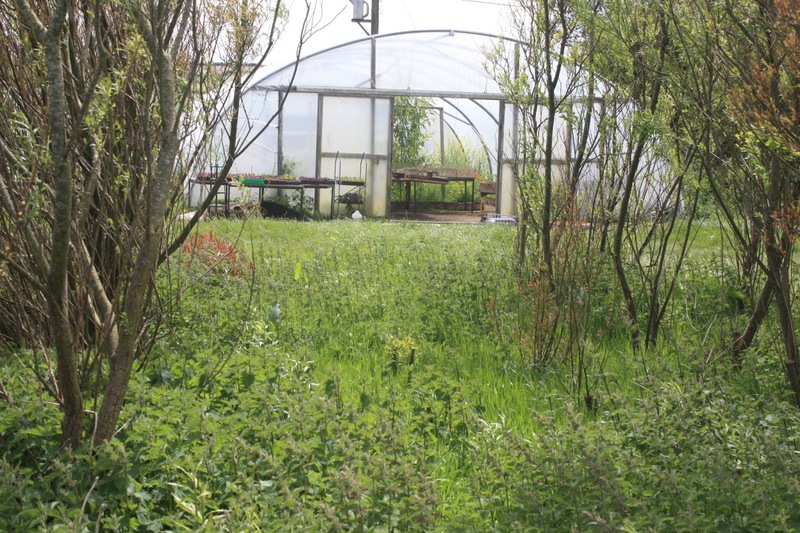 David and Kunino left us recently to continue their wwoofing adventures, after 2 weeks here on the farm. 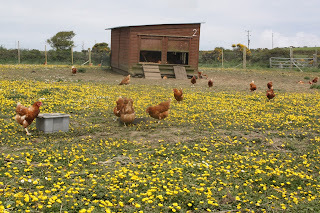 Thanks for your endeavours, and enjoy the rest of your farms (and thanks for writing about us on the wwoof website). 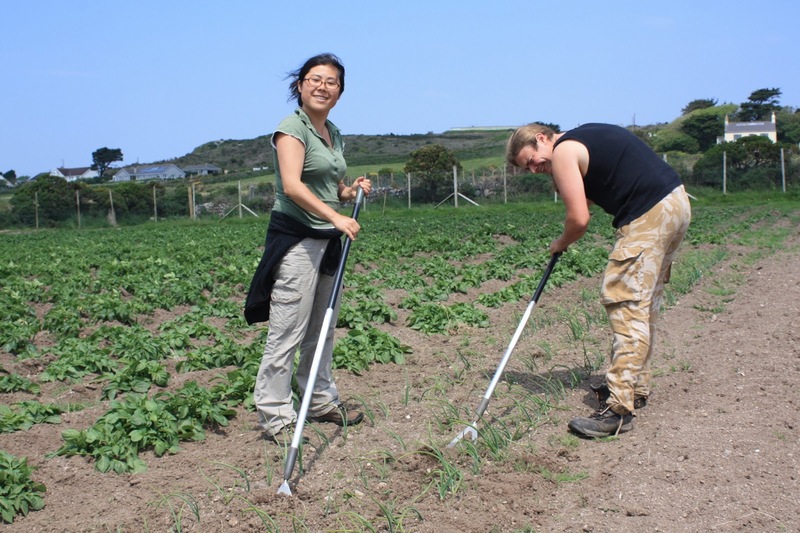 Kunino and David hoeing onions in the maincrop field. 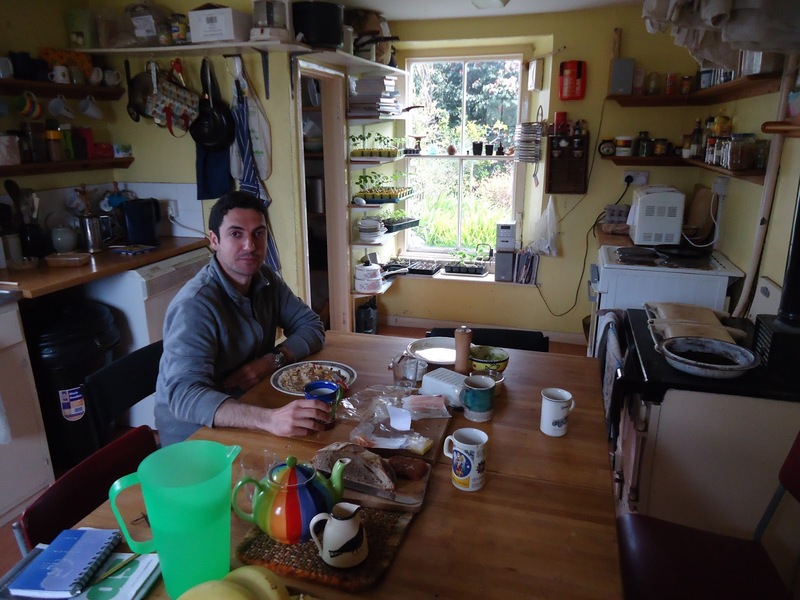 Special thanks go to Carlos, who has just returned to Spain after wwoofing on the farm for 10 weeks, one of our longest serving wwoofers. Carlos will be back however, to spend the summer working at Lands End Youth Hostel in the nearby Cot Valley. Carlos, "Legend", in the farmhouse kitchen.